Over the last few weeks I have been doing lots of reading about honey bees. As you all know, I think honey bees are pretty wonderful. They live in communities where there is a queen, who is a girl. Her job is to lay eggs and grow the colony. She is much bigger than all of the other bees. 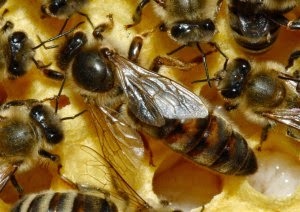 The worker bees are girls and are all the queen's daughters. They do all the jobs in the colony. They feed the queen and the drone bees, they gather the nectar and pollen from the flowers, clean the hive, build the beeswax where the honey and pollen are stored and where the baby bees grow, look after the babies (nurse bees) and protect the hive (guard bees). The other type of bees are the boys and they are all the sons of the queen. 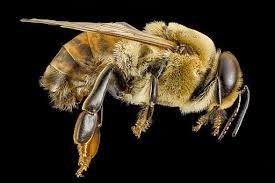 They are called drone bees because of the low pitch of noise they make when they fly. The boys do not do any work in the hive, they do not even feed themselves, the worker bees do that for them. The boys only job is to mate with a queen bee from another hive and be the father of a new hive of bees. Because bees live in communities, they are called social insects. Ants, wasps and termites are other kinds of social insects. The bees live in a hive which can either be something found in nature, maybe a tree stump, or a man-made hive. Last summer a swarm of bees flew to the Hemming's house in Raukawa Street. They have made their home in a tree stump. 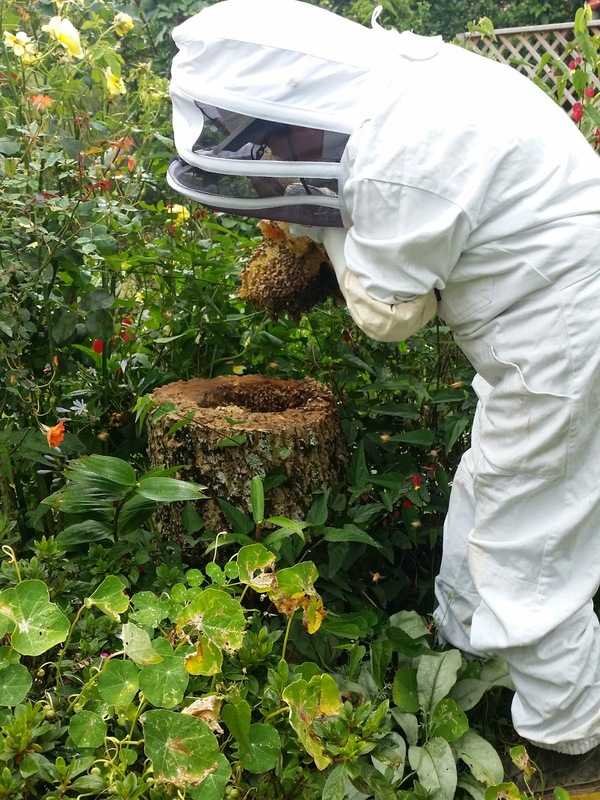 Mr Hemming had covered the stump with a piece of wood and the bees built beautiful honeycombs inside. On Sunday, we had a look and there was lots of honey. You can see me holding a big piece of honeycomb in my hand. Why do you think I was wearing a hood with a face mask and gloves? I bet you can answer that.